DrinkBox Studios made one of the must-buy PS Vita experiences last year with Tales from Space: Mutant Blobs Attack. 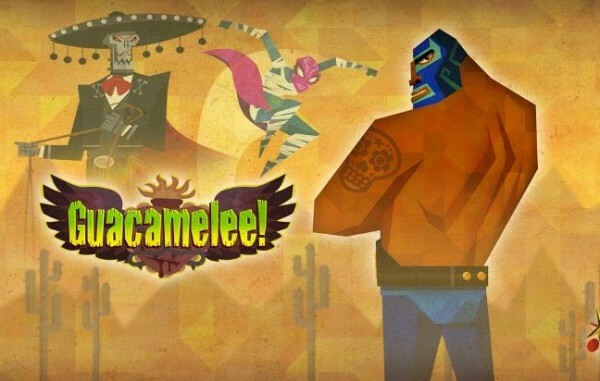 You can add a new title that looks even better with their upcoming Guacamelee! and you’ll be able to nab it soon. On the PS Blog, DrinkBox announced it’ll be out on April 9 for $14.99. Since it’s both on PS Vita and PS3, it supports cross-buy so you’ll have it for both systems. It also has a Platinum Trophy and you’ll be able to use the PS Vita as a map while playing the game on the PS3, similar to the Wii U’s GamePad. This was in my top 5 for Indies of 2013 and with great beautiful reason. I’ve seen the game before it was even announced on a platform back at Gamercamp 2011 and it’s only improved since then. Let us know in the comments if you’ll be picking this up or post in our forums.